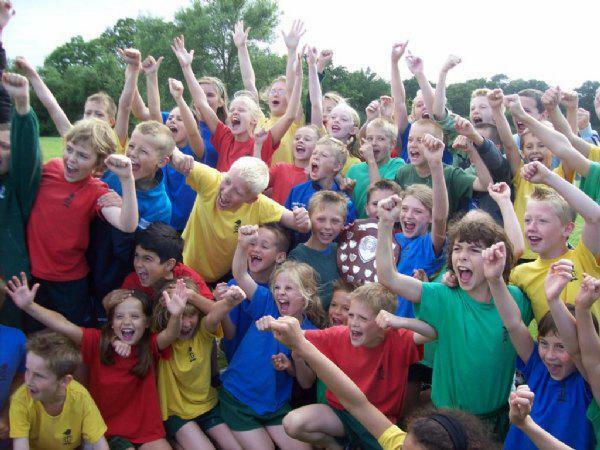 Another fantastic team performance in the annual school district sports day saw our school retaining the winning trophy. We won last year and despite the pressure of being defending champions our wonderful team put in an even better performance to win again. As you can see from the picture above, the team were rather pleased! Well done to the team and all the teachers and parents who supported on the day and who helped with the pre-competition coaching. We look forward to meeting Burstow, Manorfield, Salfords and Yattendon schools next year when we will be going for the hat-trick.